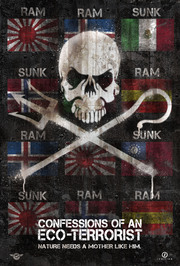 SnagFilms has just announced the U.S. Release of Confessions of an Eco-Terrorist for Earth Day, April 22, 2012. What a great day to glorify terrorists instead of celebrating the positive changes we are all making to create a healthier planet for all, huh? Can someone please tell me when it became en vogue to glorify terrorists? I am having a hard time swallowing the title of this film let alone its glorification of a man and organization that places their goals, albeit honorable, above the law by endangering the lives of others. I would bet that, compared to many of my peers in the environmental movement, I am a bit of an "odd girl out" when it comes to my beliefs. But seriously tell me, does the title and ideology of this documentary film sit right with you? Confessions of an Eco-Terrorist takes viewers on board with Captain Paul Watson and the Sea Shepherd Conservation Society – the stars of Animal Planet’s Emmy-nominated hit series “Whale Wars.” My girls love that show and each time they turn it on, I turn it off. 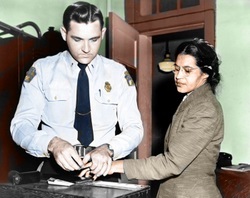 Then we have the conversation about how great women and men like Rosa Parks and Martin Luther King Jr. believed violence was unnecessary to accomplish their goal for a better and more equal future for all. They chose only to break the law through peaceful action and resistance. Through his deep studies of Gandhi, combined with his own experience, Martin Luther King Jr. developed a list of six facts to help people understand non-violent resistance and join with him in his vision. 1. Non-violent resistance is not for cowards. It is not a quiet, passive acceptance of evil. One is passive and non-violent physically, but very active spiritually, always seeking ways to persuade the opponent of advantages to the way of love, cooperation, and peace. 2. The goal is not to defeat or humiliate the opponent but rather to win him or her over to understanding new ways to create cooperation and community. 4. The non-violent resister accepts suffering without retaliating; accepts violence, but never commits it. Gandhi said, “Rivers of blood may have to flow before we gain our freedom, but it must be our blood.” Gandhi and King both understood that suffering by activists had the mysterious power of converting opponents who would otherwise refuse to listen. 5. In non-violent resistance, one learns to avoid physical violence toward others and also learns to love the opponents with “agape” or unconditional love–which is love given not for what one will receive in return, but for the sake of love alone. It is God flowing through the human heart. 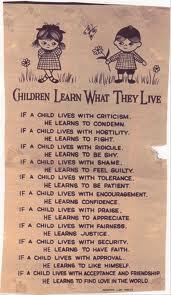 Agape is ahimsa. 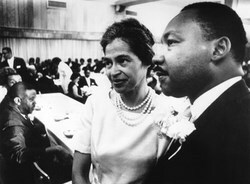 “Along the way of life, someone must have sense enough and morality enough to cut off the chain of hate,” said King. Contrast Martin Luther King's philosophy with Captain Paul Watson and the Sea Shepherd Conservation Society's successful ramming and/or sinking of illegal whaling and fishing vessels worldwide. Although the group is also credited with stopping drift-netting worldwide and saving the lives of millions of marine wildlife, to glorify the label, eco-terrorist, and consequently market the thrill of being such, is, in my opinion, damaging to the collective psyche of us all...especially impressionable children. Ms. Sharis, I am not so sure that any day, especially Earth Day, would be a perfect time to premiere this "revolutionary documentary". How about you? Where do you stand on this topic? Is this kind of rhetoric positive and necessary for the environmental movement or is it just an unnecessary way to market violence and terrorism? P.S.- Have you heard about The Green PolkaDot Box! You can easily buy NonGMO organics at wholesale pricing online. It's like a Sam's club but focused on products for green, healthy living!! You can even shop by dietary restrictions like gluten free, vegan or diabetic.